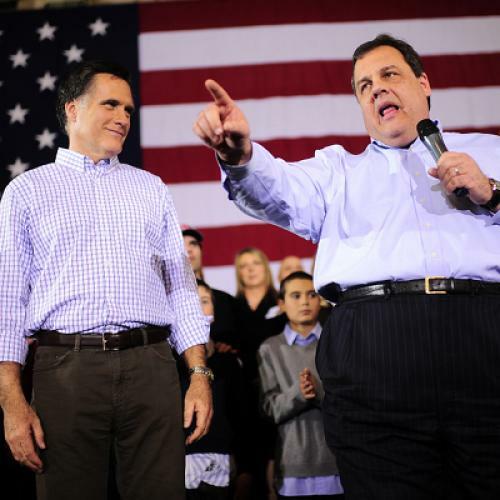 Romney is not going to pick Chris Christie to be his running-mate. How do I know? He told me. Ha! Just kidding. Got you for a second there, didn’t I, Andrea Mitchell? You should have seen the look on your face! It’s possible that Romney met with this group to tell Boykin and others to cut out their anti-Muslim activities, or to at least keep it down. We don’t know for sure, because the meeting was private. We do know, however, that when asked the next day about Bachmann’s efforts to root out Muslim Brotherhood sympathizers in the federal government—a campaign that even John Boehner and John McCain have strongly denounced—Romney took a pass. Meanwhile, on Monday a mosque in Joplin, MO—the town that was nearly decimated by a tornado in 2011—burned to the ground. Officials are still investigating the cause of the fire, but an earlier fire at the mosque in July was determined to be the result of arson. And in Tennessee, the Islamic Center of Murfreesboro will finally be open for prayers today after a two-year legal battle by opponents who sought to prevent the structure from being built.